This database is a compilation of a reading by Debbi Copeland in 2001, transcription of the L'Anguille Valley reading of 1941 by Sadie Cunningham in 2006, photos, updates and additions from Mark in November 2007 & Summer 2008, photos by Jay Thompson added in April 2008 and ongoing research and web preparation by Debby Beheler. Please send revisions and corrections to Debby Beheler. 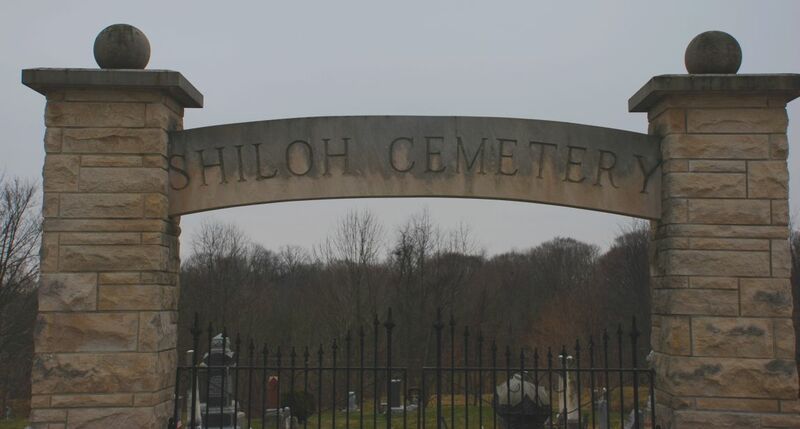 Cemetery is in southeast corner of southwest quarter of Section 17, and also in northeast corner of the northwest quarter of Section 20, of Congressional Township 27 North, of Range ONE EAST, of Indiana’s SECOND Principal Meridian, according to various maps and aerial photographs. This present introductory-sheet, and the ensuing report, were typed up --- in form for the bookbinders --- by R.B. Whitsett, Jr., 500 Front Street, Logansport, secretary of the L'ANGUILLE VALLEY MEMORIAL ASSOCIATION. with some assistance (on proof-reading, etc.) from A.C.W.